Are you looking for an effective, yet budget-friendly solution for boosting the reputation of your automotive website? If so, then you might want to consider using Search Engine Marketing (SEM), which utilizes multiple strategies from Pay per Click Advertising (PPC) or “paid” search and Search Engine Optimization (SEO) or “natural/organic” search for increasing the visibility of your site. SEM is crucial, if you plan to take your website global. It helps drive potential customers from all over the world to your site, boosting overall revenues. It also enables you to keep up with the current technologies, ensuring you stay on top of your game and continue raking profits online. Why can’t you generate results from SEM then? Is it tough for you to bring paid and organic traffic to your automotive site? It’s important that you don’t get discouraged and hang in there. SEM isn’t something that one can learn quickly. Follow these tips below for boosting your Automotive SEM. In order to create an effective SEM strategy that brings great web traffic and guarantees good rankings in the SERPs of Google, you need to incorporate SEO localization as part of website translation. This means, you need to know the precise and accurate details of the translation of your website – languages, content selection, placement and other specifics. Use this crucial information in your SEM strategy. Early implementation of SEO localization will reduce the costs associated with content updating and post-launch optimization. As an automotive business, your profits are entirely dependent on LOCAL customers who visit your dealership and have knowledge about different locations in your area. Therefore, it’s important for you to focus on a strategy that targets the local aspect of SEM and SEO. This makes it crucial for you to get a hosting provider, IP address, and domain that is local. By doing so, your new automotive site will rank higher in your specific area. Local IP host is necessary for helping you boost your local search engine rankings, which can help you receive more business. Search Engine Marketing (SEM) is a strategy that primarily functions on PPC and SEO. This means, your efforts must be focused on the small details and aspects of both. 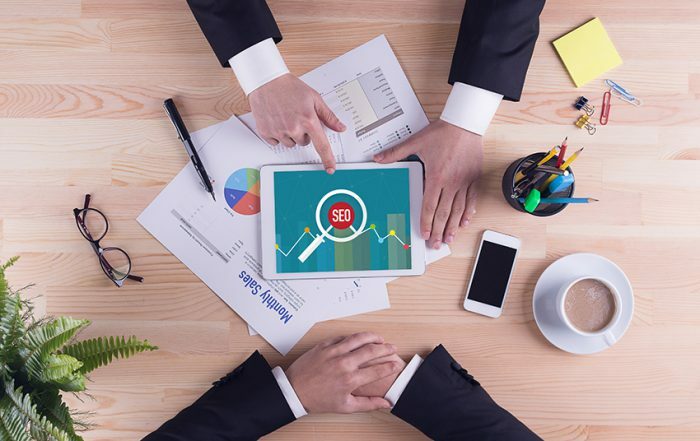 To begin with, it is essential that you do a thorough and comprehensive keyword analysis on your “natural” and “paid” search efforts. Work with a communications and marketing team to compile a list that fits your brand and offerings, while having a significant search volume. This way, you can receive more business, while rank better on the SERPs of Google. When it comes to boosting your automotive SEM, your car dealership website has to cover all bases that can help boost its rankings. This goes true especially for your content on the website. Similar to an iceberg, a good percentage of your text content on a site is either invisible or underwater. Why is this so? Underneath the wordings that appear on the page, search engine crawlers need to read metadata that helps them in understanding what your pages contain. Without working on your metadata, it doesn’t matter how effective your content is, you won’t be able to rank well. So, don’t hesitate on creating a checklist for each page, which includes file names, alt tags (for images), titles tags, and Meta tags (descriptions and keywords). If you haven’t already done this yet, it’s way beyond time that you do. Submitting your site to local directories is a crucial aspect of SEO that enables your site to be found by prospective customers online who may want to buy a particular make/model in your area. You can submit your site on renowned directories like Google itself, or sites like Yelp.com. This way, when users conduct a web search of your website, they will know exactly where your dealership is located. It is imperative though that you fill out all information correctly. This may include dealership name, precise location, contact information, business description, and an attractive image. Many businesses have the misconception that SEM is supposed to drive paid results within a few weeks, as it positions your site higher in the rankings. Subsequently, it isn’t necessary for them to work extra hard on content and offerings, etc. It is the complete opposite though. Once your site ranks higher, you need to show customers you’re worth it. This means, you need to focus on offering a “unique proposition”. Bear in mind that just because you understand the “industry jargon”, don’t assume your customers will. Think about keywords the average visitor might type into the search box. Target your content accordingly. Since you are an automotive business, localizing your PPC campaign can bring you huge profits. However, when you opt for this process, your vendor will try emulating the same process you went through during the original campaign. This process is known as “transcreation” and its function is to translate a marketing campaign. Give your vendor with a creative brief that includes info like strong competitors in the region, branding guide, keyword list, terminology/style guide, product information, target customer/market, and campaign goals. While it is true that rankings play an important role in boosting visibility and the amount of web traffic your site receives, it’s possible that a number one rank and get NO traffic at all (if you are targeting a phrase/keyword that nobody is looking for). Check your logs and use live tagging to track and monitor the referrals and activity to your website. This way, you can easily figure out what’s working for your automotive website and what not – rather than obtaining a ranking report (which provides no useful information apart from checking your rank for 1000 keywords on a weekly or daily basis). So, if you want to boost your Automotive Search Engine Marketing (SEM), don’t hesitate on following the tips mentioned above.